Universal Power Adaptor Specially designed for DayClox Digital Clocks. 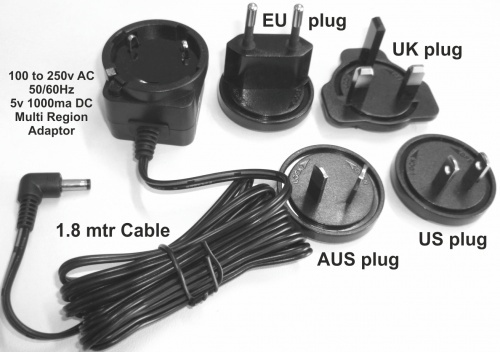 Select the plug type for your requirements. The DayClox Digital Calendar Clocks are designed to be connected to the power supply at all times. The Adaptor comes with a 6 foot (1.8m) cable. Shipping costs to your destination are automatically calculated during checkout.